Walter "Furry" Lewis (1893– 1981) personified the relaxed and intimate character of the early blues. A master of multiple guitar techniques, he was most notably an impressive bottleneck guitarist who echoed his vocal phrasings with an expressive set of sliding notes. He was able to give his performances a spontaneity, subtlety, and feeling that made him, in the words of blues historian Sam Charters, one of "only a handful of singers [of his era] with the creative ability to use the blues as an expression of personal emotion." According to most sources, Lewis was born March 6, 1893, in Greenwood, in the Mississippi delta. Around the turn of the century Lewis' family moved the hundred and fifty or so miles upriver to Memphis, Tennessee. The boy his friends and family called "Furry" (for some long forgotten reason) grew up in an atmosphere charged with the energy of nascent African American musics. It was an era in which ragtime and the first incarnations of jazz met the folk songs of Appalachia and the spiritual and "work song" vocal traditions of former slaves. The intersection of these forms created a diverse and vibrant cultural landscape in the Southern USA, as migrations of rural agricultural laborers spread what were once regional musics far beyond their initial origins. The city of Memphis, and the Beale Street neighborhood in particular, developed an almost mythical status as a musical mecca. In a time when recorded music was rare, Beale Street served as a kind of marketplace for music and musicians, where performers of various styles and techniques could go to inspire, and be inspired. It was this climate that nurtured the young Furry Lewis' talent, exposing him to the repertoire and techniques that he would eventually make his own. Influenced by the fiercely emotive styles of early Memphis blues, which typically involved stories of heartache sung by solitary, working class men, Lewis began performing at house parties, fish fries, dances, and other gatherings, becoming popular with both black and white audiences. As his popularity as a local performer grew, Lewis began to travel around the South, often with itinerant "medicine shows" that included him in vaudeville acts. Paying a respectable $2 a night, these shows developed his talents as a performer, and taught him a number of guitar and vocal styles that would later define his unique musical inflection. After the shows (which usually ended before midnight), a world of juke joints, speakeasies, and late night parties provided ample opportunities for a young Furry Lewis to play more and improve his art. In 1917, while trying to hop onto a moving train, Lewis slipped and fell underneath. The accident nearly killed him and led to the amputation of his leg. Though forced by the accident to wear a prosthesis for the rest of his life, it proved a minor setback to his musical career, and he continued gigging around the South throughout the early 1920s. As the first blues records by artists like Mamie Smith filtered southward from the urban black populations of Chicago and New York, the so called country blues of the Mississippi delta began to stand out in contrast. The singers of "country blues" distinguished themselves from these original "city blues" artists with a less repetitive and more fluid structure and the improvisatory freedoms of singer guitar instrumentation. By 1924, the Chicago based Paramount Record Company began to take interest in this style, and recorded the first examples of the genre. In 1927, Furry Lewis traveled to Chicago and recorded twelve songs for the Vocalion label between May and October. After returning to Memphis, he laid down twelve more cuts for the Vocalion and Victor labels between August 1928 and September 1929. Many of these recordings were later collected on Furry Lewis In His Prime (Yazoo 1050). 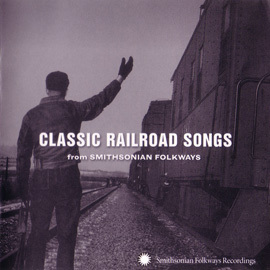 In addition, the two part "Kassie Jones" he recorded in 1928 was included on Folkways Records' Anthology of American Folk Music. Though these records display a masterful grasp of the blues, Lewis' early recordings faded slowly into relative obscurity, compounded by the woes of the Depression that made life as a traveling musician increasingly difficult, and ultimately impossible, to sustain. Around 1930, Lewis took a job with the City of Memphis, working odd jobs as a laborer and effectively retiring from the professional music scene, although he did play the occasional party. By the time he was located by Sam Charters in early 1959, Lewis no longer owned a guitar. 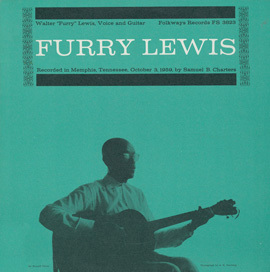 Charters relates the story behind his "rediscovery" and recording of Lewis that year in the liner notes of Folkways Records' Furry Lewis (FW03823), the album that resulted from their meeting. Though he hadn't played much in well over twenty years, Lewis sounds undiminished, and reveals the brilliance that defined his early career. As Charters describes, "A great blues singer brings to his music an emotion and imagination that doesn't depend on technical display. As singers mature their music often achieves a new expressiveness." Lewis maintained his expert ability to improvise his musical performance and expressive technique to reflect the emotion of the moment's quintessential elements of the rural blues. Charters observes, "Rather than trying to remember a carefully worked out arrangement, he simply uses whatever verses and musical styles suit the mood he is building." Lewis' deft application of "slide" and "Hawaiian" guitar techniques allows him to manipulate the blues over a number of different styles, depending on the mood. The slide style in particular lies at the heart of Lewis' musical freedom, providing a second melodic voice to complement his own. By sliding an implement (often a pocket knife or bottleneck) along the higher strings, while leaving lower strings in an "open" tuning, he achieved a vocabulary through which the guitar could augment the expressiveness of a song. As Charters' recordings gained notoriety and interest grew in early rural blues as a commercially viable music, Furry Lewis began a second career, recording and touring again, and releasing two full length albums, Back on my Feet Again and Done Changed My Mind in 1961. He toured during the 1970s as the opening act for rock musician Leon Russell. He also toured with a traveling rock ensemble group called the Alabama State Troupers, who packaged differing styles of music mixed with rock. 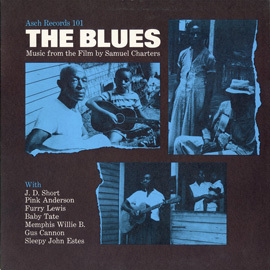 Joni Mitchell's song "Furry Sings the Blues" was written after a visit to Lewis' rooming house in Memphis during the 1970s. Before his death, in 1981, Lewis had also appeared on The Tonight Show with Johnny Carson in 1974, and in the Burt Reynolds film WW & The Dixie Dance Kings in 1975. In 1973 he was named an Honorary Colonel of the State of Tennessee, an honor also bestowed upon such legendary performers as Duke Ellington and Elvis Presley. Even after his death, Furry Lewis' music would influence a new generation of artists who remained true to the emotional purity of the early blues. His unique style endures as a superb example of the ability of these seminal musicians to translate raw emotion into a potent and vital art. As Charters perceptively describes, "To hear fully the subtlety in Furry's singing is to gain an insight not only into the singer, but into the creative process of the blues itself." Photo by F.A. Usher Jr.